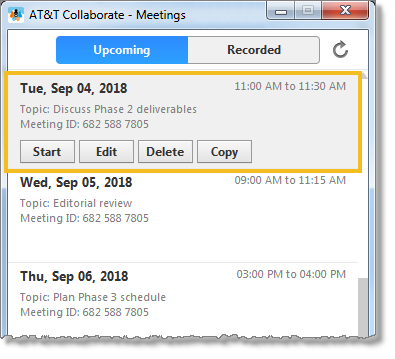 When you view upcoming meetings in AT&T Collaborate – Meetings, you can start, edit, or delete a meeting, or copy the meeting details to the clipboard (web and desktop only). To start the meeting, click Start. To edit the meeting, click Edit. To delete the meeting, click Delete. 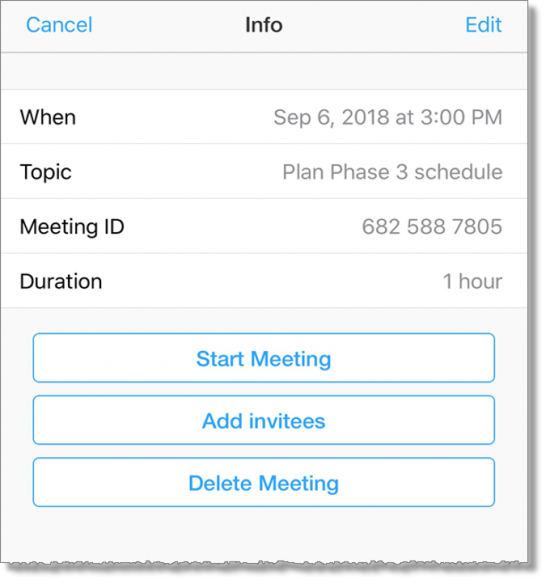 To copy the meeting details to the clipboard so you can paste them into an email application, click Copy. To start the meeting, tap Start Meeting. 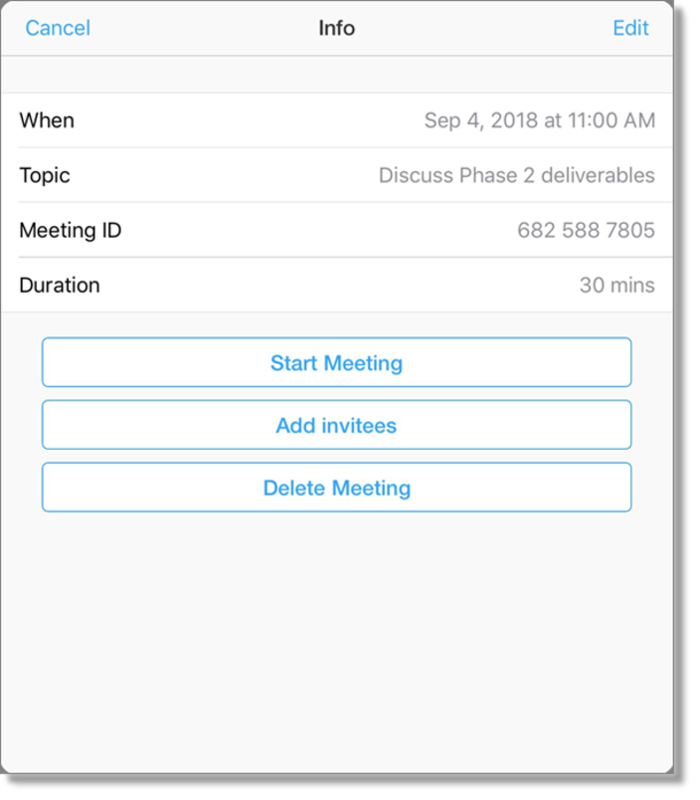 To send a meeting invitation by email or text message, tap Add invitees. 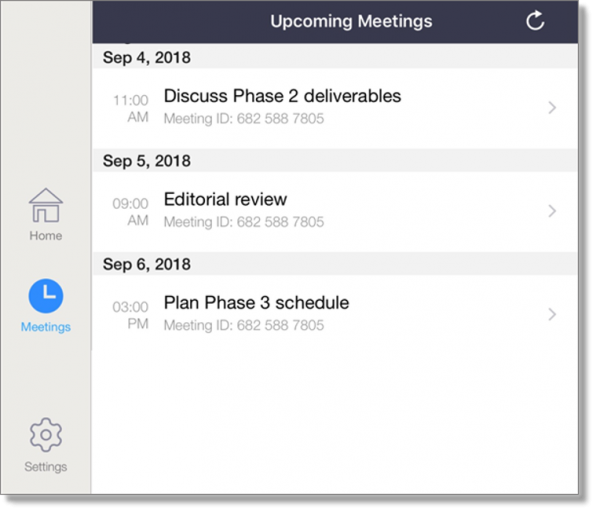 You can also copy the meeting details to paste into an email application, such as Yahoo! Mail. 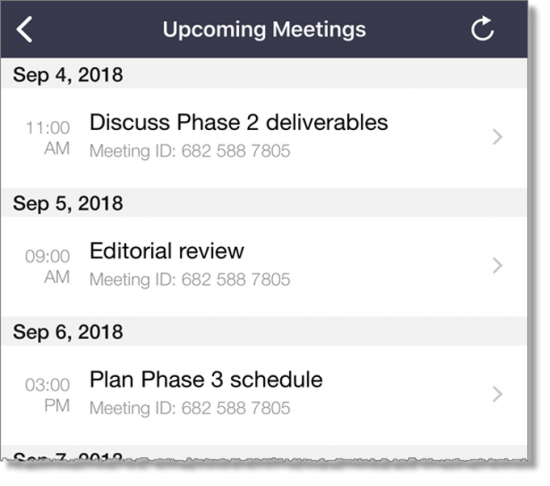 To delete the meeting, tap Delete Meeting.